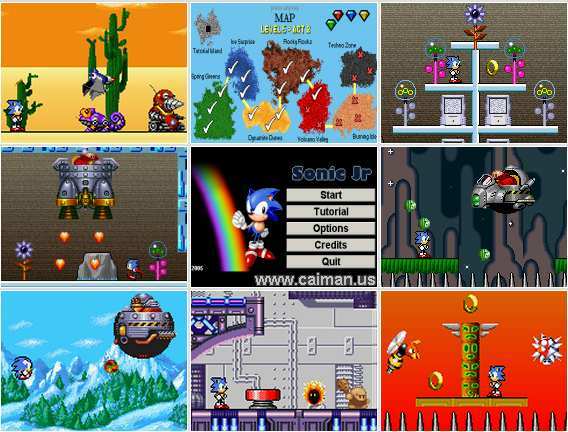 Caiman free games: Sonic Jr. by Jag9. A great platformer. The only drawback is that is not possible to play it fullscreen. The screen is only 384 x 200 pixels.